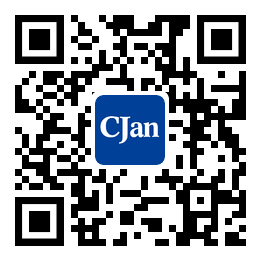 ﻿ The Brief Introduction of Silicone Hoses - CJan Fluid Technology Co., Ltd.
Silicone hoses are the tubes that are extruded into tubulous shapes at high temperature and cross—linking and solidity, which have a certain softness and tensile strength. Thus, they are widely used in many industries. Silicone hoses are made of silicone which has been widely applied in a variety of fitness equipment that takes advantages of their excellent elasticity to replace of commonly used metal spring. Their merits are including portability, beauty, practicality and low risk, etc... Generally, they can be stretched more than six times and they are also hard to be broken. Even though there is a breach, they will not be broken immediately, which minimize the harm to human body. So, they are the best matching elastic materials for fitness equipment. This product embraces many advantages such as softness, high temperature resistance and stable performance. ①It can be used at the temperature between-60℃ to 200℃continuously. ②It has softness, arc resistance and corona resistance. ③This product meets the EU RoHS directive, which has food certification. ④It can be customized all kinds of specifications according to the customers' requirements. Standard colors: red, blue, gray and green. It can be produced as required. It is widely used in all kinds of household appliances, industrial appliances, and lighting. Also it is very suitable for electronic instrument for insulation protection, water dispenser, and coffee pot pipes especially are suitable for high temperature insulation treatment, arc resistant treatment, and corona treatment. Silicone horse’s aging time is relatively long. As for life expectancy, it depends on the use of environmental factors. It can be used for more than ten years at normal temperature. When using silicone horse for production, we can use one—way caliper or two—way caliper to detect the external diameter, making the external size of silicone horse more accurate. The caliper can have a nondestructive real—time detection towards it and can measure the clear tubing, which facilitates the production.